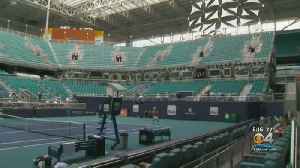 Shapovalov, who turned 20, was coming off a spectacular run to the Miami Open semi-finals but struggled to rediscover his service rhythm as he finished with 10 double faults in his first clay court..
Miami Open winner Ash Barty is confident she can "do some damage" in the upcoming clay season. 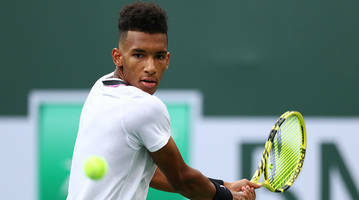 After returning home following an impressive performance at last week's Miami Open, 18-year-old Canadian tennis star Felix Auger-Aliassime said Tuesday his success this year has come more quickly than..
Roger Federer says he is "not very confident" going into clay court season, although his Miami Open success has taken the pressure off him. 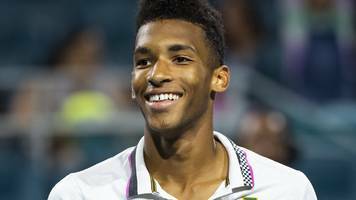 Canada's Felix Auger-Aliassime is awarded a wildcard for May's Madrid Masters after reaching the Miami Open semi-finals. 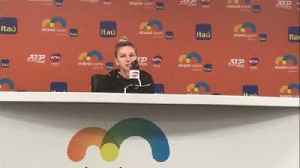 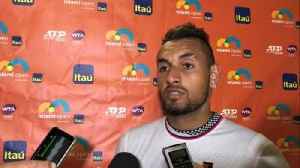 Radio Sport tennis commentator Matt Brown is joined by Tennis New Zealand High Performance Manager Simon Rea to present the Game Set and Match tennis Podcast. 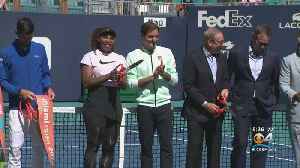 This week we review the Miami Open where..
Roger Federer defeated a hobbling John Isner 6-1 6-4 for his 101th career title at the Miami Open on Sunday (31 March). 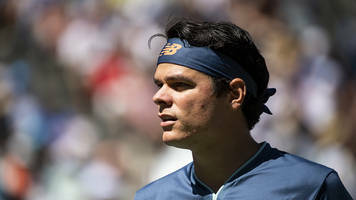 Holder Isner struggled to continue late in the second set, hampered by pain in..
After Roger Federer racked up career title 101 with a clinical 6-1 6-4 dissection of John Isner at the Miami Open on Sunday, the American defending champion seemed as keen as the crowd for the Swiss to..
Roger Federer became tennis's first repeat champion of 2019 when he won his 101st career title by beating a hobbled John Isner on Sunday in the Miami Open. 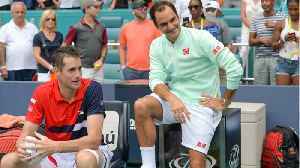 They may have been part of the oldest final in the Miami Open’s 35-year history: Roger Federer is 37 and John Isner is 33. 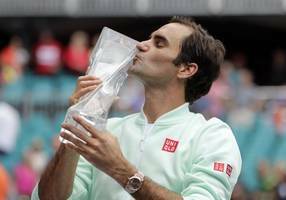 They may both be former champions: Federer three times, Isner once, the last..
Roger Federer became tennis' first repeat champion of 2019 when he won his 101st career title Sunday by beating defending champion John Isner in the Miami Open final, 6-1, 6-4.